Have you always wanted to know what pages contain, what systems they use or which marketing and analysis integrations are installed on competitors? With the Google Extension whatruns you can find all useful information with one click. 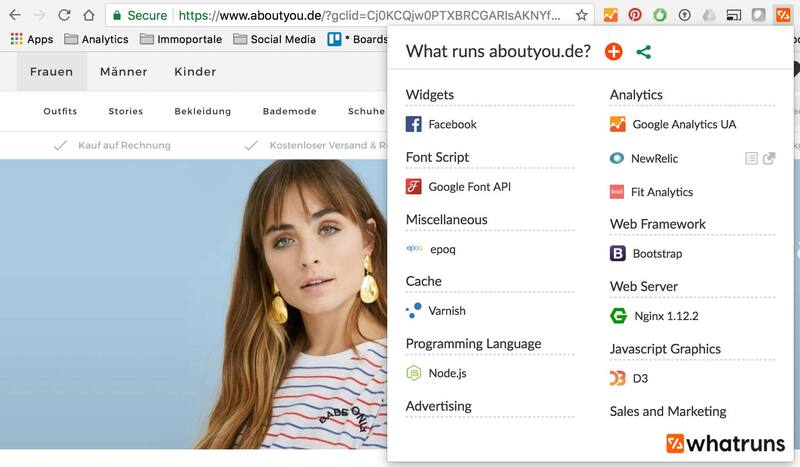 If, for example, you find an analysis or marketing tool on the page that you've never heard of, you can easily find it with whatruns and with a click on the tool you can also go directly to the appropriate website. Another useful feature is that you can follow websites. You will be automatically notified when the following websites introduce a new integration etc..